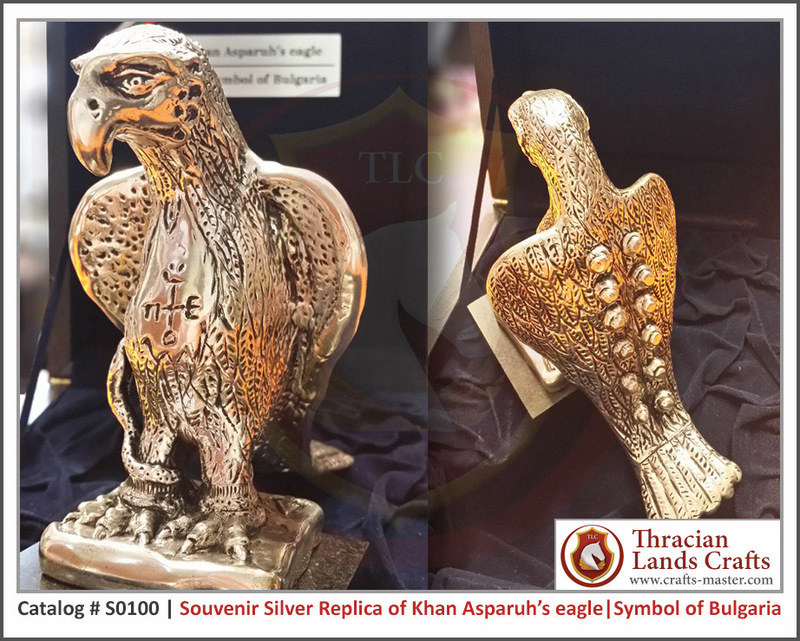 This is a fine rep­li­ca of the eagle of Khan Aspar­uh – founder of the Bul­gar­i­an state. 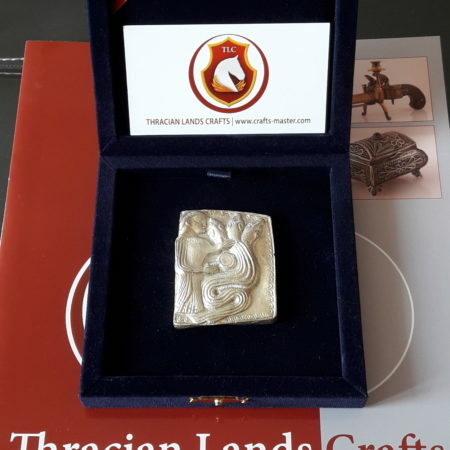 The original artifact of the eagle is kept in the archae­o­log­i­cal com­plex Voz­ness­en­ka, Zapo­roz­hye, Ukraine. It is believed that the eagle is part of the top of a cap­tured in a bat­tle Byzan­tine flag. 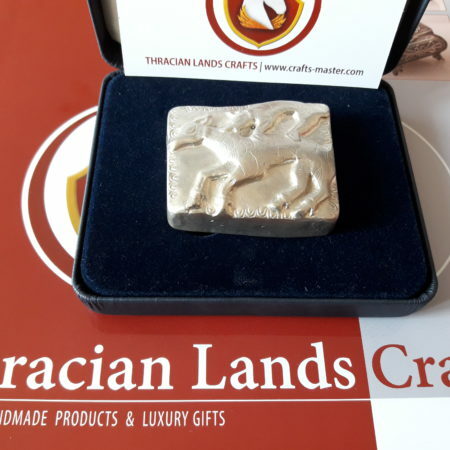 The product is made of brass with silver-plated finish and patina, mounted on a marble base. 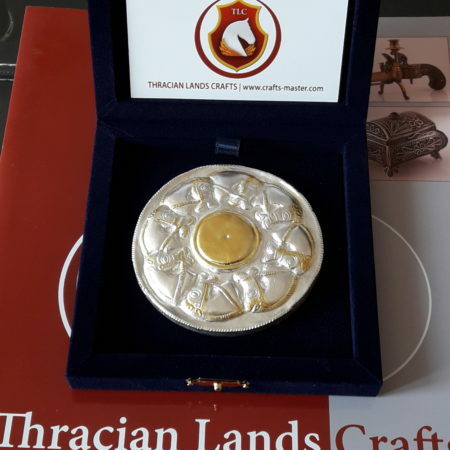 Precision casting plus handmade craftwork by the best Bulgarian craft masters! Available in a luxury box. 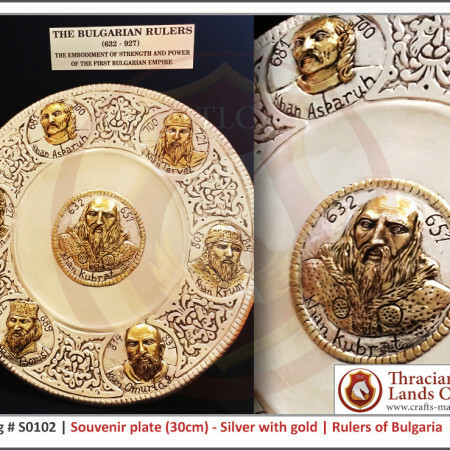 This item comes with a mandatory certificate, issued by the Bulgarian National Historical Museum (Sofia, Bulgaria).